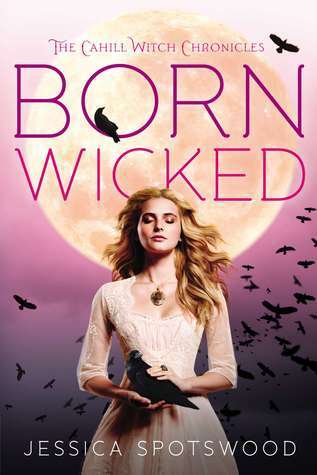 I LOVED Born Wicked, and when you fall in love with the first book in a series, you sometimes worry that the sequel will not live up to your now high standards for that author. 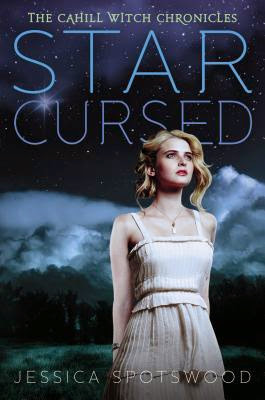 Well, Star Cursed not only met, but exceeded all of my expectations. I loved the dynamic between Cate and Finn. He is extremely supportive and loving and his desire to protect her is so admirable. He cares for her safety, but still trusts in her personal strength and doesn't try to hinder her independence. I love Cate as a character. She is strong, brave, and worries for her sisters. She had been thrust a large amount of responsibility at such a young age, and has to make some difficult decisions that could possibly impact many lives. My other favorite character is Tess. She is the cute, kind, and extremely smart little sister anyone would love to have! I feel like this book was a big turning point in the series. There are many revelations, and danger abounds around every corner. Harwood Asylum was especially well depicted, and definitely hit a 10 on the "creep" meter. Spotswood is a master of world and character building, but plot is the driving force in this one. You will be racing along, turning pages well into the night, because you NEED to know what happens next. The romance in this story is absolutely swoon-worthy, but is also filled with betrayal, intrigue, and tons of magic! I would recommend Born Wicked, and The Cahill Witch Chronicles as a whole to anyone who loves YA. There is definitely something for everyone here. I promise, if you pick this one up, you will not be dissapointed! Thanks to Penguin Young Readers Group, I have a prize pack to give away to one lucky reader! i havent started the series yet, but i love reading about witches!! Thanks for the giveaway!! I haven't read this series either but it looks fantastic! Thanks for sharing! These sound really good! Thanks for the chance to win 'em! Oh my gosh I love everything about it! Mostly I love cate and Finn! They are both such great characters! 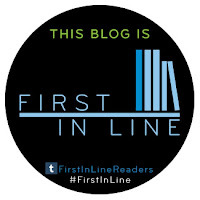 I can't wait to see what happens in this book! I love books about magic and I've heard great things about this series! I haven't read this series yet, but I love these types of stories and I am looking forward to reading this series. I love paranormal books and witches are my second favorite creature. I haven't read the series yet, but I've definitely read good reviews for them and I'm a sucker for pretty covers. I haven't read the series yet but I really love witches. Thanks for the giveaway! I haven't read either of the books yet, but the series has been on my list since I first heard of it. I love the synopsis. I am a huge fan of witches. They are my favorite characters to read about. So I think this book would be right up my alley. And hearing so many wonderful things about it from so many people doesn't hurt either! I love anything to do with witches, so I'm super excited to read this series! I've read great reviews for both books too, so that makes me even more pumped. Thanks for the awesome giveaway! I haven't read this series, but I love the covers. I also enjoy things about witches. Rafflecopter name is different then comment name. I have yet to read this series, but I'm excited to! Why? WITCHES!! So glad you enjoyed this and it was as good as Born Wicked <3 I can't wait to see more Finn! !